Are a great way to utilise floor space as an effective marketing tool creating a visual impact whilst still being functional. We will work with you to create your chosen design and are able to reflect your corporate colours in the product. 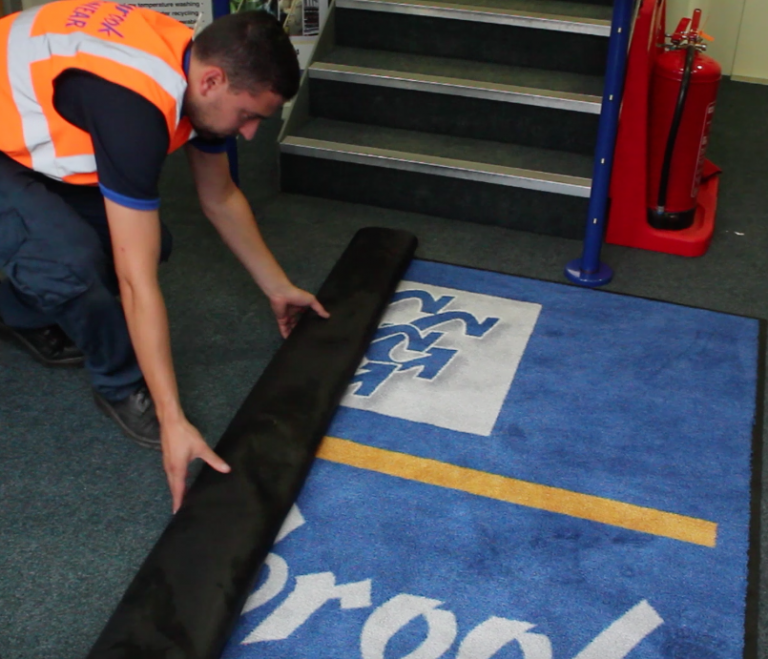 Giltbrook will ensure the size and colour are suitable for the mats location. For use in areas where coolant, oil and swarf may be a problem and extra slip resistance is essential. Matting is made from an anti-bacterial nitrile rubber, resistant to a variety of lubricants and liquids. The lightly textured surface provides traction when greasy and wet and includes built-in handles to make moving and cleaning easier. These mats assist those working in areas for long periods of time.